a) Here is a sketch and rough sketch for a proposed facehugger. Each measures 17 x 14 inch. These original pencil designs were by Constantine Sekeris, for Steve Johnson's Edge FX bid to do the creature suits for AVP. 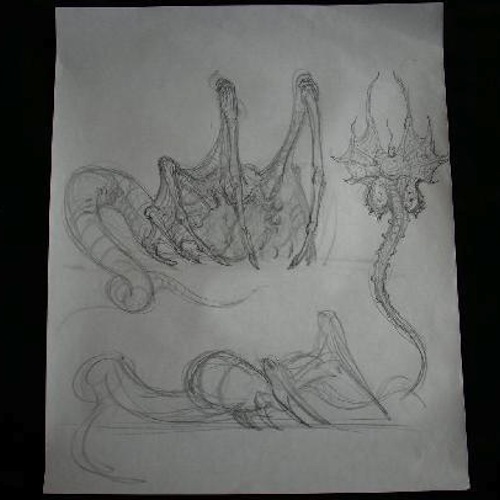 b) Many FX companies presented design concepts for AVP before ADI were hired. 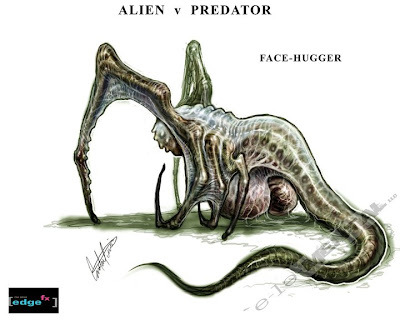 Edge FX produced these concepts for the face huggers , created by Constantine Sekeris. 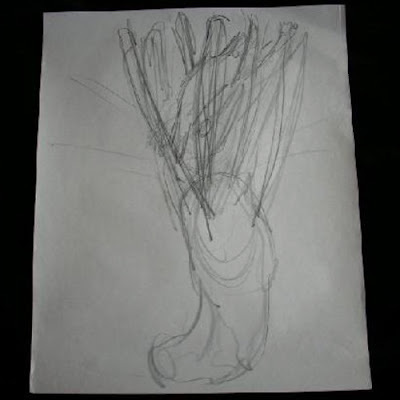 The original sketch was scanned and coloured digitially so physical images of this art only exist as printouts. Measures 13 x 19 inch.